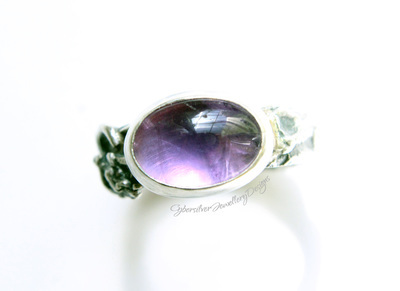 A stunning oval amethyst set in a unique silver ring. 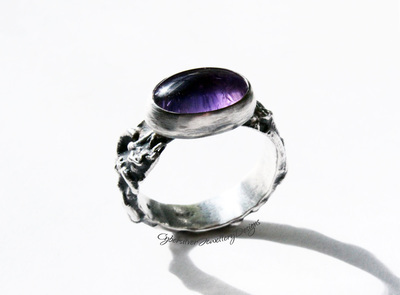 This ring is a one of a kind, created using the silversmithing technique of fusing. 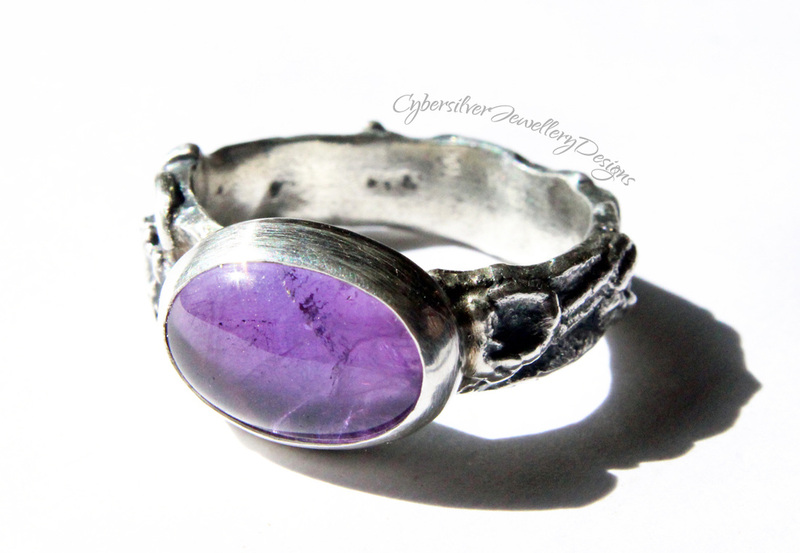 The ring has an organic, natural feel and the silver has been oxidised and highlighted. The silver is finished with a layer of protective microcrystalline wax. Oxidisation is a surface treatment which can continue to wear to a beautiful grey.